It’s interesting how the new technology that could one day be implemented as “the mark of the beast” is being developed through purely “good for humanity” type scenarios such as this one. The fact is that, one day people will be required to receive a mark which proclaims their allegiance to the world leader we know as The Beast…otherwise you will not be give rations of food for yourself or your family. Since the bible (Rev 6) clearly depicts a succession of events (in the four horsemen riding forth) that will bring 1.) The World Leader 2.) World war 3.) Economic collapse, disease & Famine 4.) widespread death…we can easily see that “most” people would gladly take a “mark” of whatever form it be (and deny Jesus Christ in favor of allegiance to the World leader and his new economy) in order to get food. After all we’ve seen the deplorable depths to which mankind can sink in the face of starvation already as depicted in King Ahab’s day when they were besieged and a woman comes complaining that she and her friend had already eaten her child on one day and that her friend now refused to surrender her child for their next meal…..Oh, yes…They will glady take the mark of the beast when it arrives. 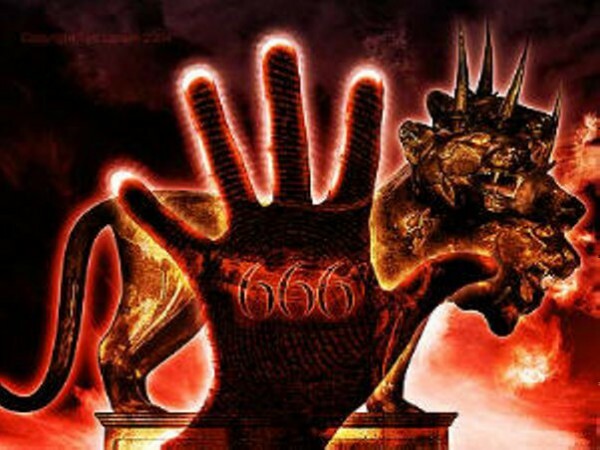 It’s very intresting.The bible clearly tells about the “MARK OF THE BEAST”. To our surprise,we see all the prophecies in the Bible are true.I certainly agree with Pastor James Somers.According to the words of Jesus today we face various problems in the Earth. We can see the signs and wonders in the firmament.This bio-micro chip is the “MARK OF THE BEAST” as told in the Revalation.From the bible it’s clear about the tactis of satan.The Antichrist (or) the ruler of the earth in the tribulation period,will enforce the use of this chip.The people will accept it whole heartedly due to the famines and unemployment.Those who refuse to implant it will be killed and they will die as MARTYRS…. The mark of the beast has been around for a long time,you can see it on people and buildings every day,they wear it on a chain over their hearts,it also oon wrists rosarie,s and wathches ie religion and wealth worship,its also used as the sign of death and was made by satan and used by satan who holds it in front of god every day and mocks “look look what they did to your son! }yes im talking about the cross,people believe they are saved because of the cross not gods grace or christs love ,another of satans slieght of hand tricks.